With her vivid descriptions of "the old home place," a hundred-acre farm in Arkansas in the 1950s, and her knack for capturing the local dialect in her writing, Jenny Wingfield's debut novel, The Homecoming of Samuel Lake, fits comfortably into the category of "literature of the American South." 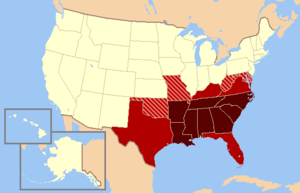 This genre, also known as "Southern literature," dates back to the early 1600s and represents - in part or whole - the different cultures, histories, religions, dialects, social and political struggles, foods, climates, and landscapes specific to the geographic region dubbed the American South (see map). 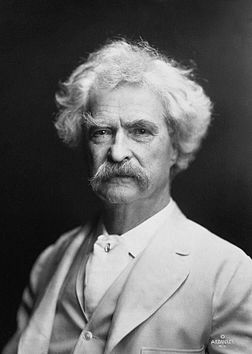 Themes of slavery and civil war are very common in Southern literature, as these historical events greatly affected the construction (and post-war reconstruction) of the area. Certainly not limited to works of fiction, Southern literature also includes documents such as letters, diaries, and slave narratives. For example, the Norton Anthology of The Literature of the American South includes Thomas Jefferson's Notes on the State of Virginia; a letter to Jefferson from the black inventor Benjamin Banneker, which "points out the contradiction between Jefferson owning slaves and the ideals of the Declaration of Independence"; and slave Harriet Ann Jacobs's autobiography. It has been debated among readers and writers alike whether authors who live outside the South ought to be considered "Southern writers." However, it seems a shame to exclude the literary contributions of such brilliant novelists as Truman Capote and Carson McCullers - both of whom left the South of their childhoods to live in New York City - from this fascinating and rich body of literature. Interested in discovering more Southern books? Just click on the following link to find a list of recommended "books set in the South". Or to learn about Southern Gothic literature, a subcategory of Southern literature that also includes horror and/or supernatural elements, check out our "beyond the book" feature for A Good Hard Look. And if you're so inclined, visit the University of North Carolina at Chapel Hill's online resource: Documenting the American South (DocSouth), a digital publishing initiative, which provides access to digitized primary materials that offer Southern perspectives on American history and culture. This "beyond the book article" relates to The Homecoming of Samuel Lake. It originally ran in August 2011 and has been updated for the July 2012 paperback edition.